Can my clients use the software to manage daily, weekly and periodic checks? 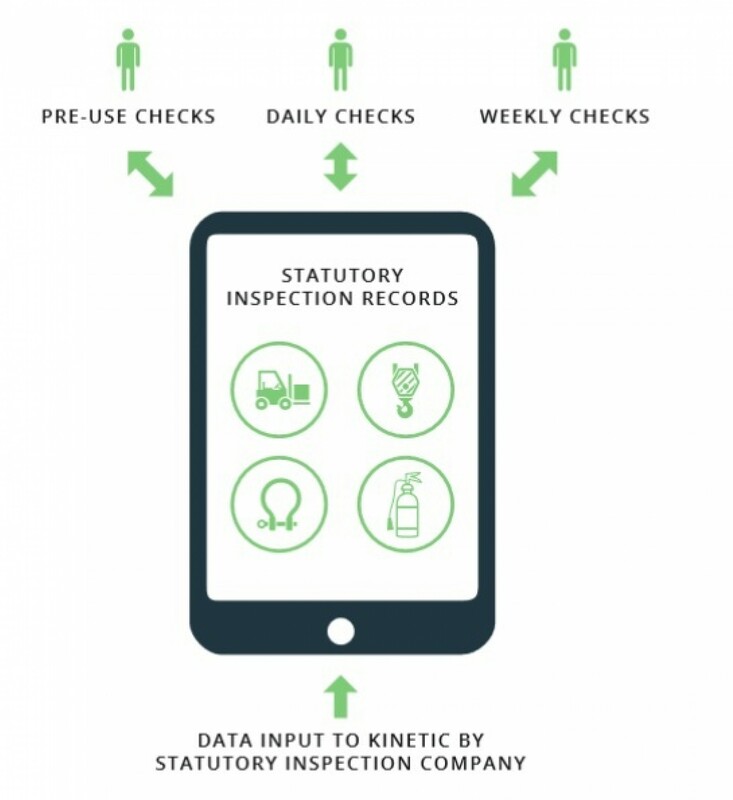 All of our existing Kinetic users provide statutory periodic inspections to their customers across a wide range of disciplines including Lifting, Hose, Valves, PSSR, Dropped Objects to name only a few. Your customers are often required to undertake daily, weekly or pre use checks on the same equipment. The process of recording this is typically on paper and often the paper is stored away and never used again. Inspections are not recorded or monitored and demonstration for audit is almost impossible or at worst an administration overhead. We want YOU to help YOUR customers become paperless, and at the same time offer them a solution which hopefully means that they continue to use you for years to come. You build the checklist (or use our standards) and then give them access to your ‘customer app’. The opportunities are endless and as we move towards a paperless and best practice, particularly in the heavily regulated disciplines Kinetic operates in then now is the time to change. The data is automatically saved back to your Kinetic and of course accessed through the portal or device.You can set it up – it is not expensive and can be created and deployed in hours. Next Challenge: Integration with Client Systems required - can Kinetic do this ?